The Hornet Summer Bridge Program has completed its fourth year on the campus of Harris-Stowe State University. The 2018 participants have surpassed the previous cohorts with a record number of applicants, enrollment, parental engagement and students successfully completing college level courses during the summer opportunity. The Hornet Summer Bridge Program is a five-week residential experience that provides incoming first-year students with the tools necessary to successfully transition from high school to college. Since the introduction of the Summer Bridge Program, 121 students have successfully participated in the one-year experience. University data indicates participants are more active in campus activities and more likely to persist through graduation than nonparticipants. The program continues to grow each year. The inaugural 2015 class consisted of 25 students; the 2016 cohort had 47 enrolled participants; 2017 brought in 47 young scholars and our most recent 2018 was 54 strong for the entire 5 week experience! 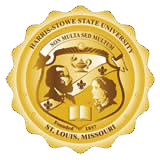 Each field experience was designed to provide exposure to the rich history of St. Louis, while enhancing the students’ knowledge of Harris-Stowe’s relevance in the community. In addition, the students developed an understanding of our mid-town location and its proximity to the surrounding cultural landmarks. During our weekly field experiences, the students were able to engage in a community service project sponsored by the Grace Hill Settlement House. The summer experience was balanced with academics, cultural enrichment and teambuilding experiences. The many workshops were designed to develop a true understanding for the HBCU experience and how to cultivate their purpose as young, college students. Initially funded by the Enterprise Holdings Foundation and Enterprise’s owners, the Taylor family, the university recently received an additional $250,000 donation from the Enterprise that will support the Hornet Summer Bridge Program for another two years. Additional funds were also provided through the Mysun Foundation and the National Society of Black of Engineers.